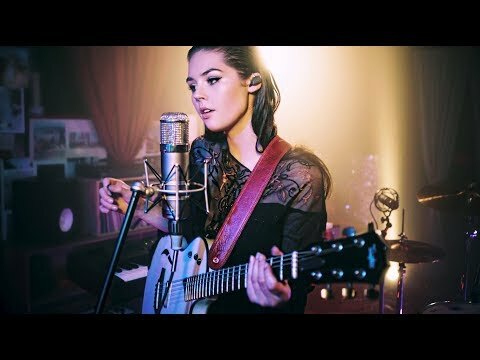 Live looping sensation Elise Trouw is no stranger to following the beat of her own drum. The San Diego native was born and raised on The Carpenters, Green Day, and turn of the century rock. Elise released her debut album Unraveling, in March 2017. She performed every single instrument and vocal on the album herself in order to learn more about the recording process and push herself beyond her limits. A few months later she uploaded a looping cover of a Foo Fighters and 70’s Bobby Caldwell mashup that went viral on YouTube. The video caught the eye of talk show host Jimmy Kimmel who invited her to play on his show the following month. That cover has now amassed nearly 3 million plays on YouTube and given Elise a whole new level of exposure. Recently she put out a live looping video of her song “Burn,” which has garnered nearly 200,000 views in only 3 short days. Elise is currently spending time in the studio working on her forthcoming album and looks forward to hitting the road again soon. May 11, 2018 This week’s top picks include Ones To Watch Jordan Rakei, Billy Raffoul, Molly Kate Kestner and more. March 30, 2018 This week, we were blessed with new songs from Ones To Watch artists Zak Abel, HONNE, Matt Maeson, Michl, & more.